White, Ivory, Pink or Turquoise. 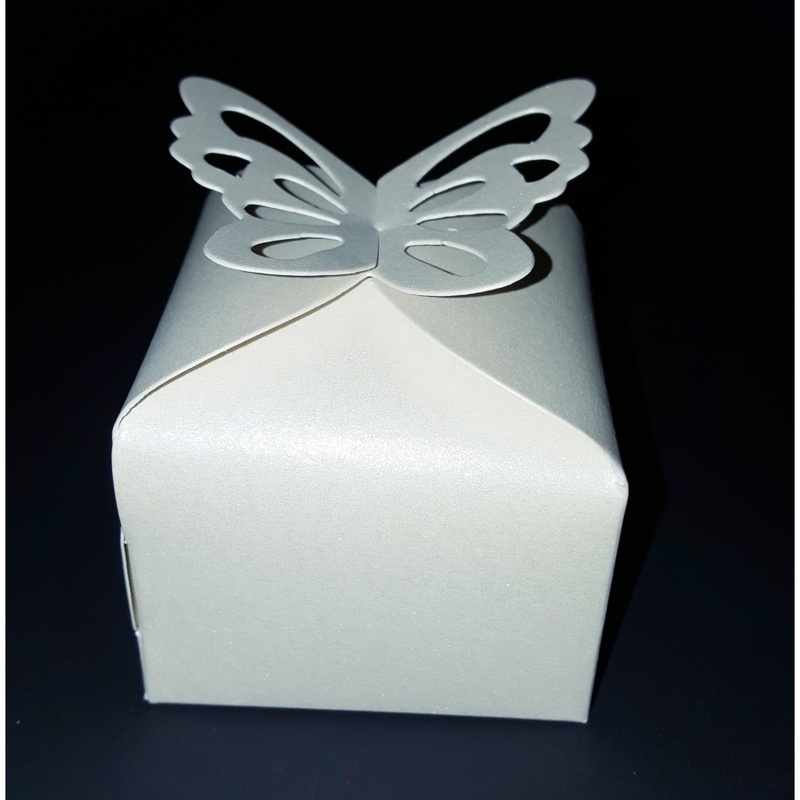 Sturdy Square favour box with a 3D butterfly design on the top. Box measures approx 6cm x 6cm x 6cm at top of butterfly. Just under 2 1/2 inches cube.